Hon. 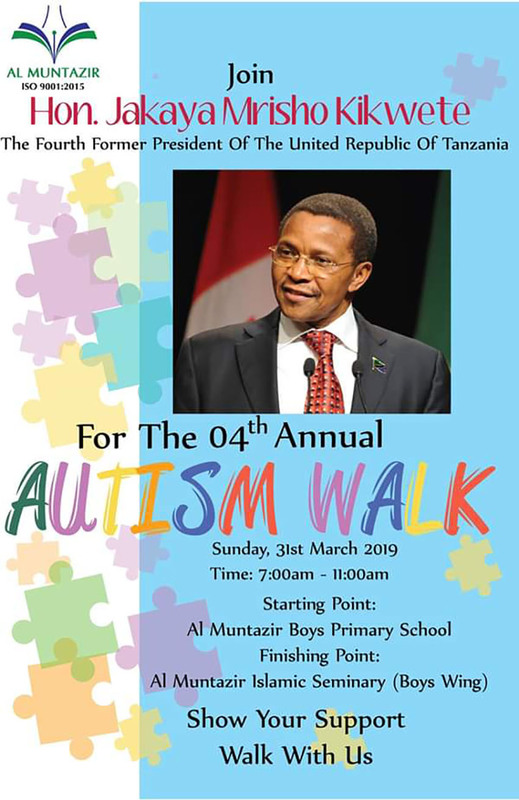 Jakaya Mrisho Kikwete, The 4th President of The United Republic of Tanzania, is Walking with us for the 4th Annual Autism Walk.. Are You Joining him for this Noble Cause. Tshirts Available on Sale at all Al Muntazir Campus for 10,000/- only.